The Huntress is our most popular women’s piece for its cut, fit, and design. It is designed to show off and flatter a woman’s curves and physique. It has two adjustment points to get an adjustable fit for a variety of body types. The lacing is designed to create a V shape in the front to enhance the bust line and a reverse V in the back to enhance the hips. 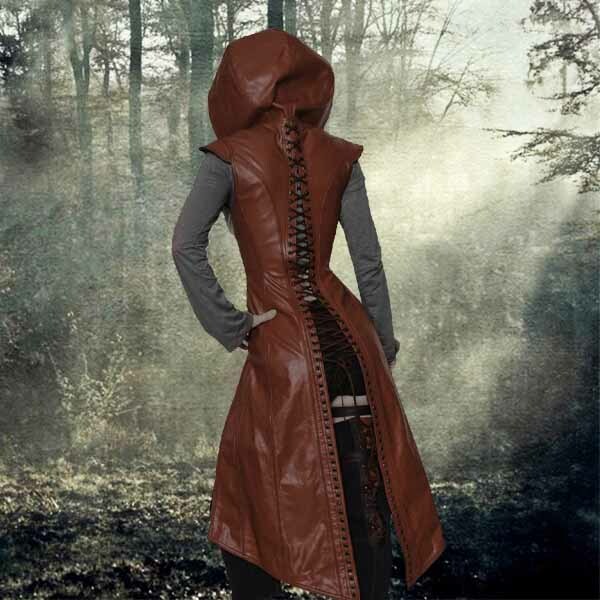 It features a beautiful and deep hood that offers flexibility in costuming and garb options. 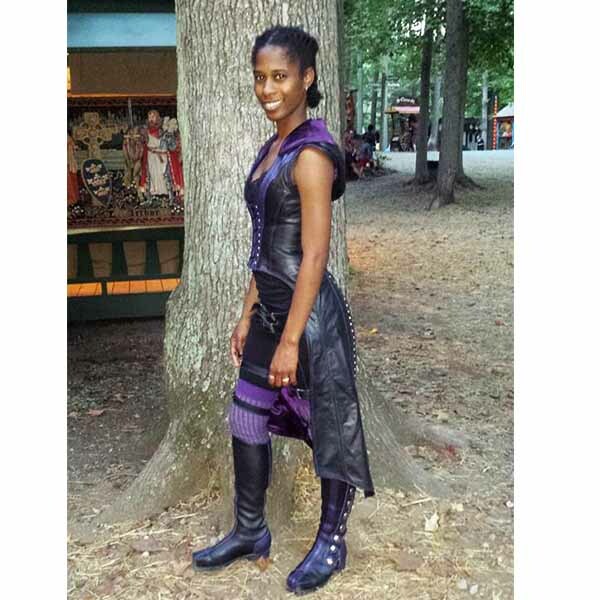 The Huntress is the perfect center piece to your garb for a renaissance fair. 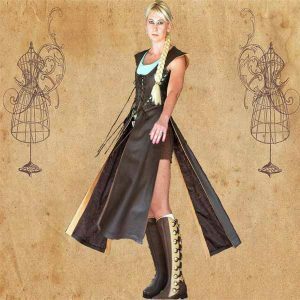 It is also has a great crossover appeal for a cosplay or steampunk convention. Measurements are underbust, fitted at the rib cage where a bra strap would go. This is not a bra size or a corset waist size. Custom sizing is also available. We typically use a premium Floater leather on our clothing. Suede is available and is sometimes used to offer a nice texture contrast. Colors may vary from dye lot to dye lot. We have access to ordering custom made colors. 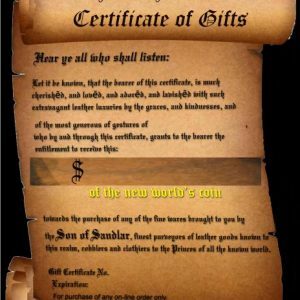 If you want something special, let us know. Lace grommets can change the tone looks o the leather. Silver offers great contrast and brings out blacks. Bronze is more muted and suited nicely for earth tones.